EXCEL IS the essential tool in every company’s work kit. Complex features and commands turn Excel into a comprehensive tool that stores information and enable arranging information for project planning and data analysis. Nobody can manage without Excel. Or maybe you can. Take a look at this list of 11 Excel alternatives and decide for yourself, whether or not it’s an irreplaceable analytics tool. Did you know that there are many daily tasks that can be accomplished even more efficiently without a spreadsheet? See the processes that desperately need an Excel alternative. Google Docs is probably the most easily manageable alternative to Excel. It looks similar to Excel’s layout and has pretty much the same features, except that it’s free for all Google account owners (if you have a Gmail account, you also have access to Google Docs). Cloud storage means that Google Docs is accessible from anywhere as long as you have a computer or mobile device and internet connection. It’s invaluable if you require access to your documents from another computer. Collaboration is taken to a new level by Google. Instead of working on an Excel file on one device and sharing it by Slack or email, you can share a Google Spreadsheet document with others and make edits simultaneously, enhancing teamwork and raising project management to a new level. Chart formatting: Excel has extensive options for formatting data charts – changing axis name, formatting data values etc. Google Sheets has limited formatting capabilities compared to Excel. Work that requires high processing power is where Excel really stands out. If you have to analyze 10 000+ rows of data, Excel is the leading tool for the job. Still, it’s not all-powerful. If the amount of data exceeds 300 000+ Excel rows, it is best to use a real data analysis tool like Matlab. Do not use Google Docs if you’re going to China – Google Apps are blocked around there. Scoro KPI dashboard software is like Excel on steroids. 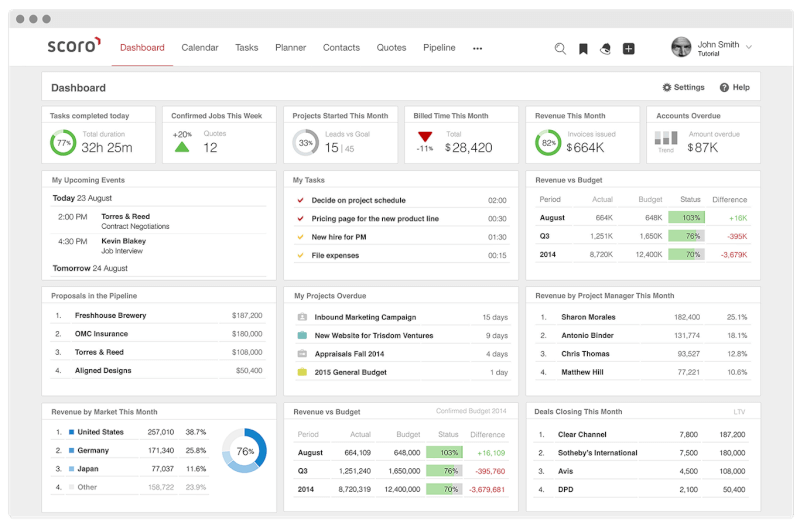 It lets you oversee every aspect of your business on one (or several) interactive dashboards – and keep track of your project, work, and financial KPIs in real time. It’s not quite the formal Excel functionality but when you need to create beautiful data visualizations to share with your organization or partners, this is an excellent tool to use. Scoro is an innovative data analytics tool that allows you to integrations with third-party applications and software enabling data to be imported to one place. If you’re looking for a new way of understanding your data, you should consider Scoro. Still, it’s not the leading alternative for analyzing extensive amounts of data; compared to Excel it’s great at delivering beautiful visualizations but not for conducting a comprehensive financial analysis. Keep track of your project performance by creating a project dashboard and monitoring the essential project KPIs (project performance indicators). This free data analysis tool is increasingly popular among businesses. It’s a comprehensive tool and a perfect alternative to Excel whenever you need to manage small sets of data (under 10 000 rows). 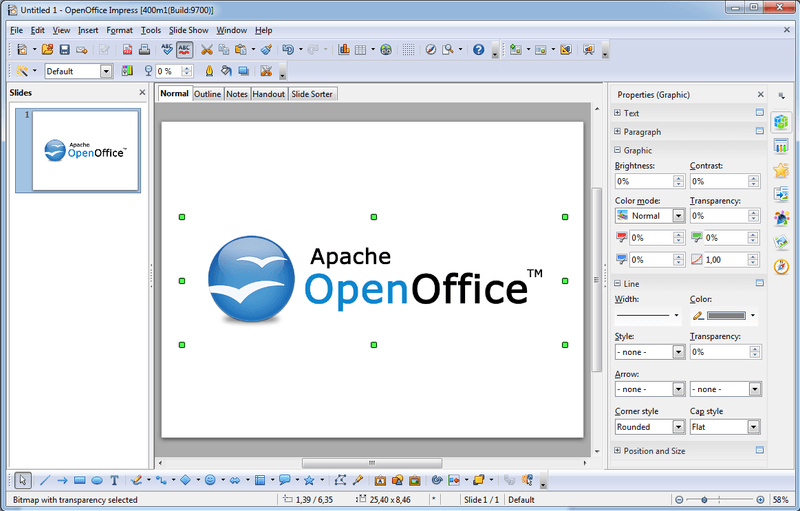 Over 100 000 000 computers already have this OpenOffice software installed. Once you’ve downloaded it to your computer, OpenOffice does not require an internet connection to use it. OpenOffice runs perfectly on Windows, Mac OSX, and Linux, so everyone can download it. This Excel alternative has an open source code, meaning that the program can be improved and adapted to your company’s needs. It can also be used to open Excel documents; that makes switching between these two tools effortless. Implementing new software and helping employees to get used to it is sometimes a real challenge. Learn how to easy the new software implementation process. Also derived from the original Openoffice.org like Apache Open Office, these two open source Excel alternatives are quite similar. In fact, it’s an alternative to the whole Microsoft Office app bundle, not just Excel. This free Excel alternative is quite similar to Google Drive Apps and lets you create several different types of online documents. It’s three main features are Write, Calc and Show are compatible with other office programs. ThinkFree enables you to write documents, create spreadsheets and presentations. It also enables online collaboration provides you with 1 GB free online storage (although compared to Google Drive’s 15 GB, it fails to compete). ThinkFree has a mobile service that allows you to examine office documents and edit them while on the move. Uni-Paper, Think Free’s online viewer program is very handy when you need to view any spreadsheet document. With Uni-Paper, you can open documents online without requiring the installation of Office software to your computer. Find out more about ThinkFree here. Microsoft built Web Apps to allow users to store their documents in the cloud and share them with other users – namely colleagues, project members or bosses. 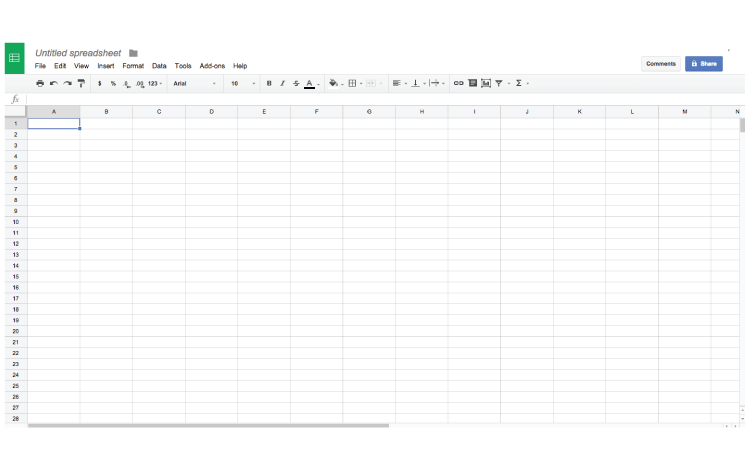 And of course in the process offering an alternative to the free Google Spreadsheet. MS Excel Web App is similar to Google Spreadsheet, allowing unlimited sharing and co-working on a document. Instead of sending an Excel spreadsheet via email, you can upload it to Excel Web Application and share it even quicker. The best feature about Excel Web Application is that it is available for free. The only requirement is that you own a Microsoft account. However You don’t get all MS Excel features within the web app – business analysis features like VBA, macros, etc. Use this alternative to MS Excel if you work with small amounts of data and need your team collaborating on the same document. Of course, Apple could not leave their users out to dry. So they created Numbers for Mac to be the Apple alternative to Excel. An interesting feature in this Excel alternative is that in Numbers, a new document does not begin with an endless grid but a plain sheet. It allows you to choose fonts, style cell borders and move everything around the canvas. The result – a clear sheet with charts that are a pleasure to look at. Numbers for Mac is a perfect spreadsheet when you need to make beautifully visualized presentations with small amounts of data. 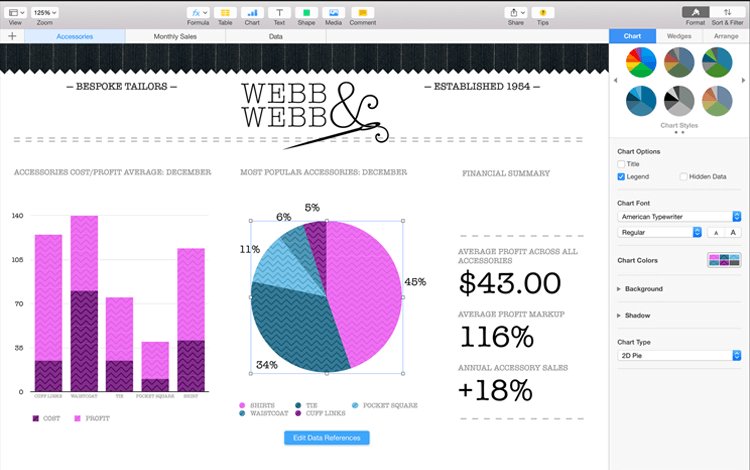 To make it easier, Apple also added prebuilt templates and over 250 functions that support comprehensive analysis. If you’re an iPhone or iPad user, Numbers documents are accessible from everywhere. You can also edit the documents in cooperation with other team members. There’s even the option of saving a Numbers document as an Excel Spreadsheet. Yes, Apple has thought of everything. Read more about Numbers for Mac. SPREAD 32 is another free Excel alternative that includes over 300 functions in mathematics and trigonometry, reference, logic, engineering and financial categories and works with basic spreadsheet files like XLS, CSV, and PXL. When analyzing or organizing small amounts of data, this free spreadsheet enables almost all important features including filtering data, inserting charts and setting up to three conditional formatting settings. If you have to go through a comprehensive data analysis, SPREAD32 should not be your go-to tool as it doesn’t support working with huge amount of data. This Excel alternative requires downloading before it’s used so if your computer’s hard drive is crammed with data, it might be best to stick to online spreadsheets. You can get SPREAD32 here. Gnumeric is a simple open-source spreadsheet application that has all the basic Excel features. 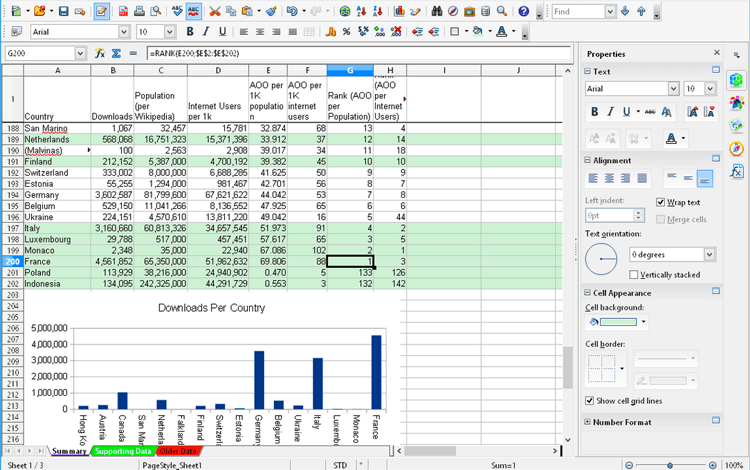 Like many other free Excel alternatives, it’s a fine tool for less complicated data analysis. It can open documents created with Excel, Lotus 1-2-3, Open Office, etc. A strange detail about Gnumeric is that menus and dialogue boxes open under the main interface, it will probably take some time to get used to the application’s navigation. Gnumeric is licensed under the terms of General Public License that permits auditing and making custom extensions to the spreadsheet application. 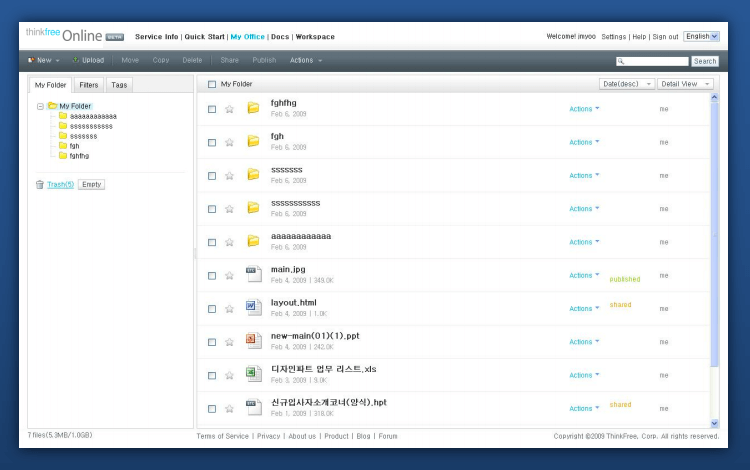 It is part of the open-source GNOME desktop environment. Formerly named Actuate e.Spreadsheet, this downloadable application is quite a powerful companion when you need to automate and centralize spreadsheet production, maintenance, archiving, and security. The BIRT bundle also includes Free BIRT Spreadsheet Designer – an easy-to-use report writer for creating authentic Excel files and reports that retain formulas, formatting, live charts and data connections. This Excel alternative has many many features that enable thorough data analysis: live formulas, pivot tables, hyperlinks to navigate to other Excel documents, data-driven layouts, etc. Another cloud-based free Excel alternative that empowers your productivity and enables working in an Excel-like environment creating new spreadsheets and editing documents written in other spreadsheet applications. It offers functionality that legacy Excel users are familiar with, and you can conveniently switch between .xlsx, .xls, .csv, and .ods without any problems. The spreadsheet application supports charts and pivot tables and lets you engage the whole team and work together in a shared document. Did we mention you can access your documents anytime and also from mobile devices? 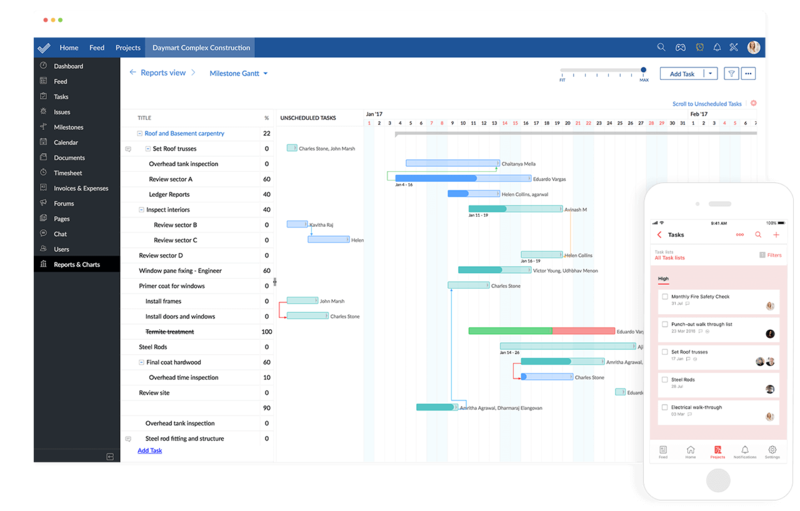 Another excellent feature about Zoho Sheet is that it’s a part of an extensive cloud-based software bundle, designed to change the way we manage and create our documents and presentations. It should be noted that some Zoho applications aren’t free. Have a look at Zoho Sheet or check out the Zoho alternative. 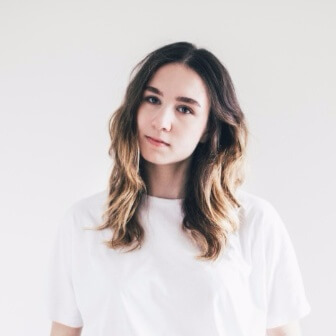 Well, folks, it’s time to wrap it up and announce the winner. As you might think, Excel has so many more features than its free and paid alternatives. If you prefer to analyze data on a spreadsheet, this should be your go-to tool. But don’t let the Excel shine blindfold you. Although it is a great tool for some types of analysis and storing information, there are software solutions that do the job for you. If you need to analyze the company’s budget and income, it might be more effective to use accounting software; and whenever you need a clear overview of your client base, a CRM (Customer Relationship Management) tool lets you arrange and analyze data even faster than Excel. 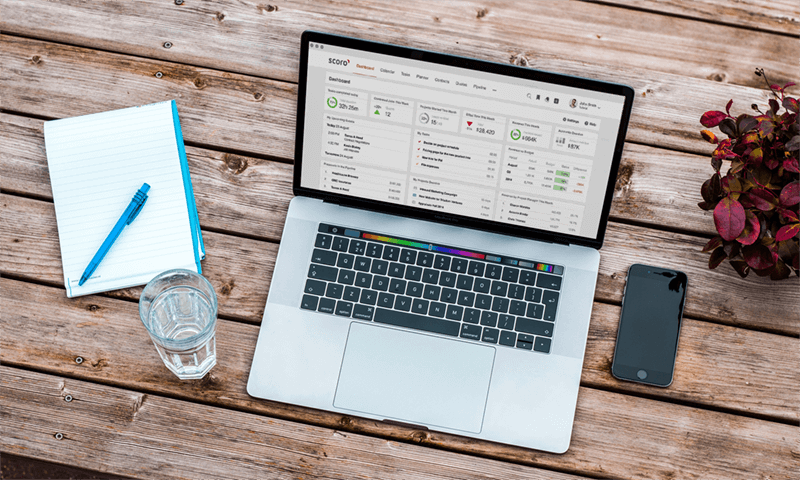 Keep in mind that there are spreadsheet alternatives to Excel, but an even more powerful solution lies in business tools designed especially for storing and analyzing business data, for example, software that lets you create performance dashboards. If you’d like to learn more about the software required for creating a well-designed KPI dashboard, see this guide to KPI tracking dashboards.